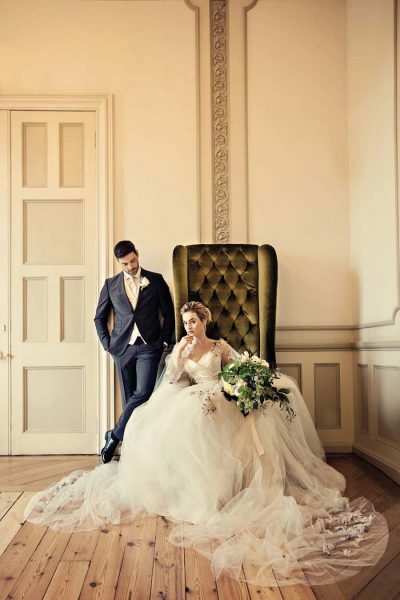 At Joanna Leigh Couture we aim to provide the discerning bride with a unique and personal service that is unlike any other, Joanna works closely with all our clients to achieve the elegance and maximum impact when wearing an exclusive, handcrafted gown that has been designed with only them in mind. Our philosophy has always been in order to create a truly beautiful and captivating gown we must first understand and appreciate the individual wishes of the bride and regardless of whether their perfect bridal design is sleek and simple or designed to create sophisticated drama, a Joanna Leigh Couture Gown is always. Designed with passion, created for you. Jo made my journey to be a bride, the best experience ever and the only tears I ever had were that of joy! She has an amazing talent to make you feel like the only bride she has ever had. Her talent and charm are enchanting and nothing was too much trouble. She made my dream a reality! 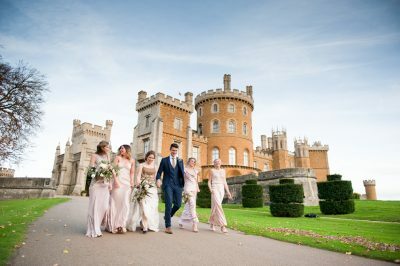 I was nervous and almost fearful of wedding dress shopping until Joanna Leigh was recommended by a few people and whenever I heard Joanna Leigh Couture mentioned there was always a buzz around the name and knowing how personal the service was made me decide that she would be the perfect choice. Joanna instantly made me feel at ease on our first meeting, she was professional but friendly and seeing her work in the studio I knew she was the designer for me. Joanna and her team designed and lovingly created my truly unique wedding gown. She went above and beyond to make me feel special. A truly beautiful person inside and out. I couldn’t have wished for a better experience of having my dress designed and made by Joanna and her team! Joanna’s work is exceptional, and my wedding dress was more than perfect. I feel very proud to say I own a Joanna Leigh Couture dress! After reading such positive reviews I decided to visit Joanna who was so personable. She immediately made me feel at ease, capturing my needs and wants confirmed it was the right decision. Her professionalism, warmth and attention to detail is admirable. My gown was more than I could have ever imagined. 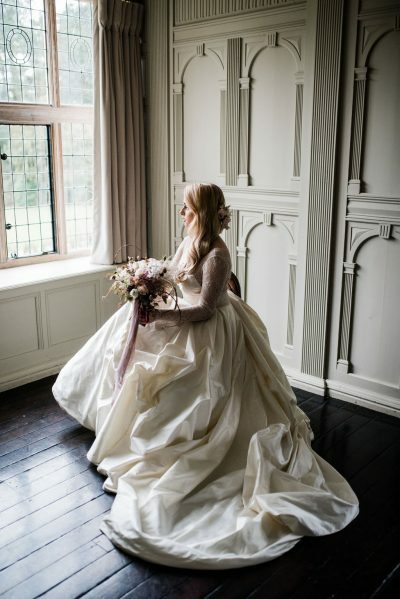 Where to start, Joanna makes you feel at ease as soon as you walk through the door understanding every detail and idea you have in your head of what you want your dress to be, she takes that and designs something far better than you could ever imagine! The dress is not only beautiful but fits your body shape like a glove. One word to describe my whole experience ….magical! Joanna is truly amazing. She gives 110% customer services, she really wants you to have the dream dress. Her passion for every dress she designs shows, Joanna is a beautiful person inside and out. Joanna is such a talented person, she listens carefully to your ideas and visions of your dress, she knew exactly the type of lace I wanted. Every fitting was a complete surprise and so exciting each time. I would recommend her to any bride to be. And then came Joanna! From the initial consultation I knew she was the one to create my dream outfit. The moment you meet Joanna you can feel her passion. Each and every fitting was an absolute joy (despite the 140 mile round trip). Combine Jo’s skill with her friendly nature and fantastic customer service she hands down deserves to win The Wedding Industry Award. I couldn’t have wished for a more perfect designer to make my wedding day dreams come true. You can’t put a price on perfection but as far as value for money is concerned, Jo is worth every penny and more! Jo is very talented, from the design process right through to the finished product she listened carefully to everything I wanted and made honest suggestions about what would and wouldn’t work. The dress was made from the highest quality materials and the attention to detail paid to the smallest things was incredible. Jo will not let a dress leave her studio unless it fits and looks perfect. No two dresses are the same and she puts so much love into the entire process. She is one of a kind. Joanna made getting a wedding dress a wonderful experience. She was so enthusiastic and kind. The finished product was better than anything I could have imagined. My wedding day was the most beautiful I’ve ever felt and my dress was the biggest contribution to that feeling. I would recommend Jo to anyone, she knows exactly how to make the perfect dress for the bride she is working with. Every dress is unique, made with love, cherished and will blow your mind! You only have to look at her window displays to know there is something special behind that blue door. This lady is truly wonderful in every way, she makes you feel a million dollars the minute you walk through the door. Her imagination is incredible and her attention to detail is second to none! It was the most magical journey I have ever been on having a dress made by Joanna. She is thoughtful, personable and warm. Joanna is so creative and every single dress she designs is totally unique, Jo made my wedding and I wouldn’t have had anyone else! Joanna in my opinion is the most kind-hearted person and the BEST designer EVER! She’s inspirational. My first insight into choosing a bridal gown was not an enjoyable experience. Yet from the moment I met Jo my entire view changed instantly. She put all my worries at ease and I undoubtedly believed her when she said that she wouldn’t create anything less than perfect for me. The whole experience was a pleasure and exciting from start to finish. I had complete faith in Jo and her ability to know what I wanted and deliver on this, to the overall quality of my dress and the perfect fit. Jo is simply amazing! Her eye to detail and dedication to each bride and their couture gown is outstanding. Every appointment was special and to have the opportunity to see my gown from beginning to end was a great experience and that was down to Jo and her amazing team. She knew exactly what would suit me and listened to my requirements and put them into a stunning gown. This was by far one of the best parts of planning my wedding and I cannot thank Jo enough! My dress was the focus point of the wedding, where no one else understood me and what I required, Jo really took the time to know every aspect of my personality and venue to help with designing and creating my dress. I was part of the process the whole way through and she ensured I was 100% happy with every element. From the first appointment I was crying happy tears and relief that she understood me so well and each appointment thereafter Joanna made me smile like I hadn’t before. Joanna and her team were amazing from start to finish, the detail and process added to my whole wedding experience. This lady is a perfectionist! Joanna Leigh has an amazing reputation and I had seen the quality of her gowns and knew I only wanted a Joanna Leigh gown. I’d drive past her window displays and be in owe of the beautiful gowns. It was an absolute pleasure working with Joanna and always looked forward to my fittings. I trusted Jo to design a gown that would suit my body shape and personality and that she did. My gown was the most beautiful thing I had ever seen and I felt like a million dollars in it. The quality of the gown and the fabrics were amazing and it fitted me like a glove. Joanna is one of the most talented, hardworking, passionate people I have ever met. The whole experience from design to completion was out of this world Joanna made me feel so special. She gave me all her individual attention every appointment, she really did make my dream a reality. Joanna created a dream for me. From start to finish I was listened to, guided and supported. Joanna brought to life a stunning, delicate and intricately handmade dress that was beyond anything I thought was possible. It was fitted to me like it was part of me, it has become a part of me. It was a pleasure to have Joanna on our wedding journey with us. Dress fittings were an escapism and a personal service every bride dreams of. Jo went above and beyond to make the perfect wedding dress, her expertise and outstanding friendliness put me totally at ease. Joanna was more than I could have dreamed of. She was professional, friendly, an expert, honest, imaginative, creative, personable and fantastic. For all the things I booked for my wedding Joanna is hands down the best and recommend her to any bride. My dress is/was the best thing I have ever seen. Joanna showed love to me and my dress throughout the process. Even spending my wedding morning with us. SHE IS AMAZING!!! I couldn’t have wished for anyone more amazing to design and make my dress, from the moment I walked through the door I just fell in love with her, the love and passion she has for what she does is out of this world, she makes you feel truly special like you bare the only thing that matters. I visited top end designers London, Leeds Manchester and Harrogate but nothing came even close to what I received from Joanna Leigh Couture. I truly felt honoured to have found this magical place. I was left feeling deflated about finding my dream wedding dress and as I drove past Joanna Leigh Couture every day to work I looked to the internet to find out more about the beautiful little place I see every day with the exquisite gowns displayed in the window. Contacting Jo was the best decision I have ever made and I have not looked back. I was made to feel so very special and at ease. She really does make dreams come true. From the first time I met Jo I knew she was the only person I wanted to make my wedding dress, I did not even bother to look at dresses in shops. Her professionalism and enthusiasm are enchanting and when I realised Jo didn’t have availability on my chosen date I persuaded my then fiancée to change the date and I am so glad he did. He affectionally referred to her as ‘the only dressmaker in the whole wide world’ when he realised how much I wanted her to make my gown. Having seen the finished product, he can now see why she had to be the one.